Access control doesn't have to be complicated or expensive. 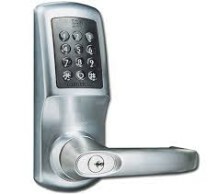 SCOTT-LOCK LTD offer cost effective access control solutions to suit your business requirements. Whether you need digital or electronic control to a car park, building or office, we can help. We are approved installers for CodeLocks.